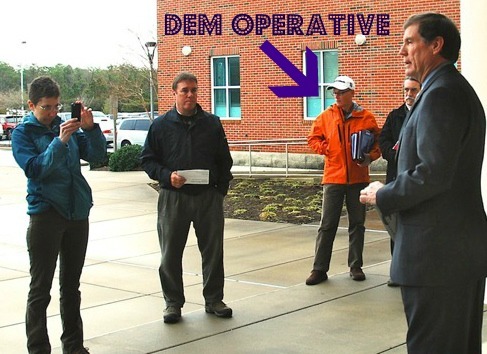 Richard Morgan, Republican candidate for Insurance Commissioner, betrayed the North Carolina Republican Party in 2004 and was promptly ousted from the NC GOP Executive Committee for party disloyalty. His many transgressions, as you can read about below, have cost him dearly as he continued over the years to try and remake himself, running for office time and time again only to be rejected by voters. Voters continually said NO to his kind of politics and it’s time to say NO one final time. Make an informed choice ion July 17th in the race for Insurance Commissioner. Vote for Mike Causey on July 17th. While you may be stifling a yawn thinking about Insurance, I beg you to think again. This is one of the most important races on the ballot on July 17th. The Insurance Commissioner is responsible for managing the Department of Insurance and determines how much you will pay for insurance. That alone should get you coasties engaged. We need an Insurance Commissioner who will lead the fight to break up the insurance monopoly that exists in this state and give us a free market for insurance. In addition to regulating insurance companies, agencies, agents and travel clubs, the Insurance Commissioner is the Chief Fire Marshall and Chief Building Inspector. The Commissioner also regulates bail bondsmen, collection agencies and manufactured housing. We cannot have a political hack in this job. We need an experienced, conservative leader. View the full Facebook post here. Premiums for household insurance, especially windstorm insurance, have skyrocketed in recent years in eastern North Carolina, worse yet in the coastal counties. Causey, who ran for the office previously, said he was urged by North Carolina Republican leaders to seek the office this year because of widespread and bipartisan criticism of how the State Office of Insurance has been administered. Causey intends to visit all of North Carolina’s 100 counties with a particular emphasis on eastern North Carolina. 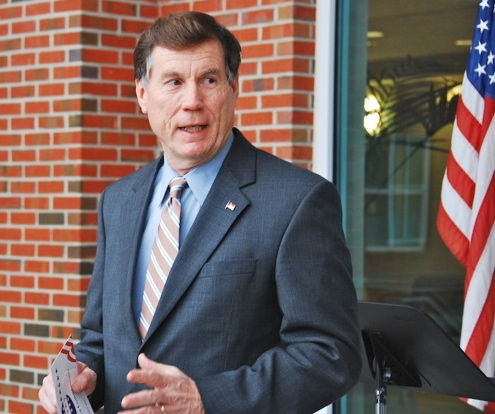 Mike Causey (R) has announced as a candidate for the NC Insurance Commissioner’s position. He will be here for a press conference and photo op at 10:30 AM on Monday, January 9th, at either the Dare County Courthouse steps or the Dare Center. If you’re fed up with Dare County being the insurance scapegoat for the rest of the state, please come out and meet Mike and be present for the press conference. It will be a brief visit. If elected, this would be the first time in history there has ever been a Republican in NC in that position.